Yummo Mummo | What’s in YUMMOMUMMO’S bag? Who isn’t a little bit curious when it comes to looking through another woman’s handbag. I know I am! So what about YummoMummo. What does she carry in her bag? 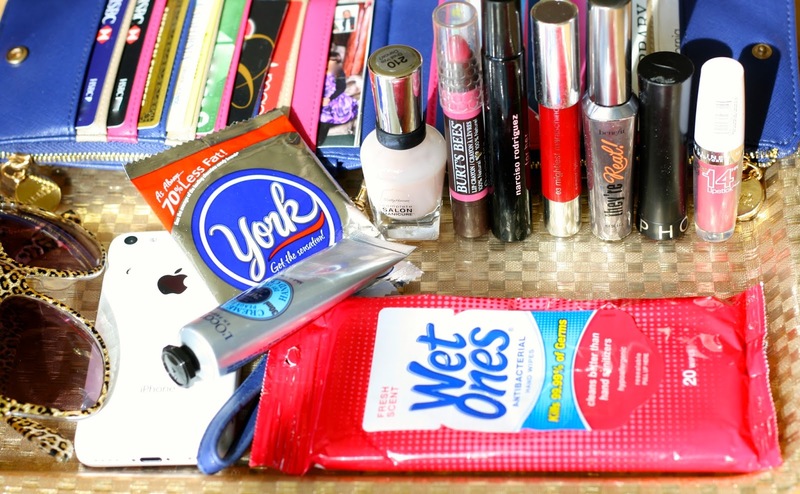 What are her essentials she just can’t live without? You might have read my post earlier in the month looking into a Yummy Mummy from Orange County’s handbag, if you haven’t, click HERE. Also, this is your chance for a sneak peek at my upcoming giveaway. YummoMummo is on her way to 10K views and it’s time to celebrate! If you like my wallet, you can have a chance at having your very own. What excitement! Cheetah glasses – this reminds me to have fun with my style. I also have my super duper Coach glasses but these Cheetah ones tend to be the pair I lean towards at present. And they go perfectly with my Cheetah Slip on Sneakers. Read my post on Slip-on Sneakers HERE. Wet Ones – these are a staple I collect at the check out at Target. When I pick up my kids from school, their hands are filthy so this is a quick fix so they can have a snack I bought to pick up. And I love feeling refreshed. York Peppermint Patty – I have quite the sweet tooth, so I find this the best alternative as it’s lower in calories. And I love the taste of peppermint! L’Occitane Hand Cream – this is the perfect size for my purse and rocks in the moisturizing department. iPhone – naturally I need a great phone that can take a good selfie at a moments notice! Wink Wink. I LIVE on my phone. I think I would have separation anxiety if I didn’t have it at my fingertips. For reals. YummoMummo needs to be accessible to Instagram (@yummomummo), Twitter (@Yummo_Mummo) and Facebook (YummoMummo). Come say hi! I know you won’t be surprised at all that I have four (4) lipsticks in my handbag! These are just a few of my massive collection of reds/tangerines/pinks. To read up on my post about Lipsticks, click HERE. If I ever have a spare moment (who am I kidding), I like to get a quick coat of Sally Hansen clear nail polish on. It protects my nails and dries quickly. No need to worry about crease marks. I am presently wearing Narcisco Rodriguez perfume. I tend to only have one perfume on the go, so when that is done I can move onto something new. At Sephora, I purchased a small roll on size, perfect for my handbag. And Benefit’s They’re Real Mascara, what more can I say, I am an addict. 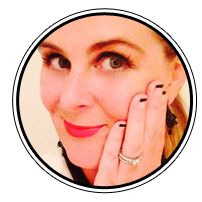 For my post on some of Benefit’s amazing products click HERE. NOW FOR YOUR SNEAK PEEK AT MY UPCOMING GIVEAWAY! This awesome wallet is no longer available through Avon.com, so you will definitely have to enter my giveaway if you want this must-have arm candy. and is totally affordable at only $28 // Mark Avon. Avon are continuing to come out with some cool peices Look for an upcoming post featuring some cool Avon products on the market. Stay tuned for how this wallet of all wallets can be yours in my YummoMummo giveaway. If you really don’t want to miss my giveaway, I suggest you subscribe by email so you don’t miss the notification! My next “What’s in HER bag?” will feature a sneak peek in the bag of ‘An International Corporate jet-setting Australian Yummy Mummy living in Singapore’. Wow, that’s a mouthful. I have already photographed her bag when she jetsetted into San Francisco recently, so you might find some interesting and new products in there. I surely did. So to make sure you don’t miss out on that post, SUBSCRIBE BY EMAIL. I LOVE your wallet! I have a lot of cards and it looks so organized in it! Alos, I think everyone should carry around L'Occitane Hand Cream. 🙂 Love their lavender hand cream . Seriously Linda, this wallet has changed my life. I am so organized! I even had a man in his 70's comment on how cool it was in a cafe recently. Ha Ha. Yes, love the hand cream! L'Occitane rules! A lipstick can last 2 years! Good news! Thanks for reading. Ooh, I love Yorks!! They are so yummy and I love that they aren't crazy on calories. The color of your wallet is gorgeous, it's a great design too!! I had static in my skirt the other day so a little of this handcream on my legs, and walla, the static was gone. Multi useful! I love whats in your bag posts! L'Occitane is the absolute best and I can't even judge you for having so much lipstick in there lol, guilty as well.